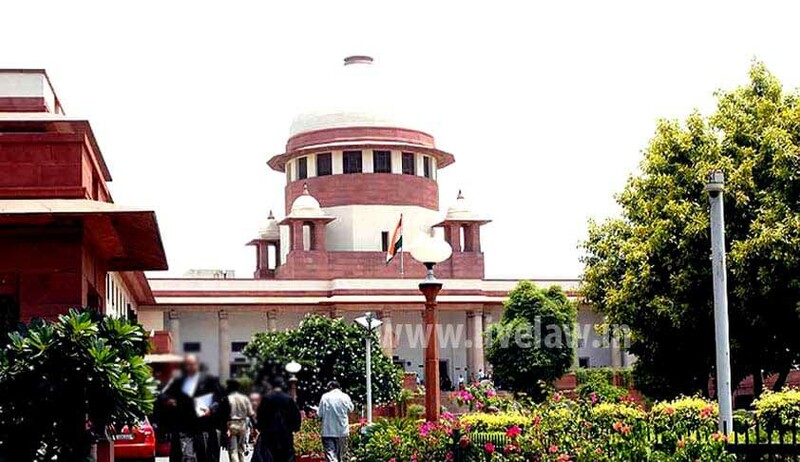 Supreme Court of India Today, acquitted Dhal Singh Dewangan, who was sentenced to death by the Chhattisgarh High Court for killing his wife and five minor children by a 2:1 Majority. Justices Ranjan Gogoi and UU Lalit has set aside the High Court judgment that confirmed the death penalty imposed by the District and Sessions Court of Durg holding that the prosecution, on the basis of admissible evidence on record, has not proved its case against the appellant. Justice Prafulla C Pant has dissented. He upheld the conviction and awarded Life term for the Accused. The victims included the convict's wife Thaneswari (35) and five daughters -- Sandhya (5), Nandini (9), Sati (11), Lakshmi (13) and Nisha (15). The case was argued by Senior Advocate Colin Gonsalves and the Centre on the Death Penalty at NLU Delhi, through Himanshu Agarwal, Preeti Dash and Shreya Rastogi, played a central role in developing legal strategy and arguments in the case. d] A knife, which could possibly have caused injuries to the deceased, was lying next to his left hand. e] His clothes – “lungi” to be precise, were found to be having blood stains with blood of human origin. "The law regarding appreciation of cases based on circumstantial evidence is clear that the chain of evidence must be so complete as not to leave any reasonable ground for the conclusion consistent with the innocence of the accused and must exclude every possible hypothesis except the one to be proved namely the guilt of the accused. In our view, the circumstances at Sl Nos. a, b, c and d mentioned above do not form a complete chain of evidence as not to leave any reasonable ground for the conclusion consistent with the innocence of the appellant nor do the circumstances exclude every possible hypothesis except the guilt of the accused". Justice Pant has differed on the point that the prosecution has failed to prove the charge against the Accused with the majority view. He expressed hi disagreement with Justice Lalit on the appreciation of hearsay evidence. He observed that statements of the witnesses have been read in evidence by the trial court and the High Court with the aid of Section 6 of the Indian Evidence Act, 1872. Justice Lalit has opined that these statements do not fulfill the requirement of spontaneity and continuity, and as such, cannot be read with the aid of Section 6 of the Indian Evidence Act, particularly when Jivan Dewangan, Gangadhar and Jhaggar, who told them about what PW-6 Kejabai was disclosing, were not examined. But according to Justice pant, in the facts and circumstances of the case, non-examination of Jivan Dewangan, Gangaram and Jhaggar is not sufficient for not relying on the statements of PW-1 Ishwar Pradhan, PW-2 Santosh Kumar Mahar, PW-3 Neelkanth Sahu and PW-5 Dan Singh Dewangan with the aid of Section 6 of the Indian Evidence Act, 1872. "The courts below have rightly appreciated the entire chain of circumstances that has been narrated by these witnesses, particularly when they have told what PW-6 Kejabai herself told them at the square, when they reached there. The testimony of PW-1 Ishwar Pradhan, PW-2 Santosh Kumar Mahar, PW-3 Neelkanth Sahu and PW-5 Dan Singh Dewangan is admissible in evidence as being part of the res gestae. Sections 6, 7, 8 and 9 of the Indian Evidence Act, 1872 deal with the relevancy of facts not in issue but connected with the facts in issue. The provisions contained therein provide as to when the facts though not in issue are so related to each other as to form components of the principal fact. The facts which are closely or inseparably connected with the facts in issue may be said to be part of the same transaction", he observed. On 19th February, 2012, Dhal Singh Dewangan (the accused) and family returned from Nagpur after attending a relative’s wedding. On the same day, around midnight, the accused murdered his wife Thaneshwari and five minor daughters by causing number of injuries on their vital parts with a chopper/knife with which he used to chop hen. The accused’s mother Keja Bai -- the lone eyewitness in the case who locked the room from outside seeing the horrific incident -- turned hostile. The trial court of Durg convicted the accused under section 302 IPC and awarded him death sentence. The High Court had rejected the contention regarding contradiction in the statements of witnesses by observing that they are rustic villagers, their court statements were recorded more than after six months of the incident and therefore, the contradictions and omissions present in their statements being minor in nature can safely be ignored. The High Court had also observed that when there is other clinching evidence available against the appellant that directly shows that he had committed the murder, then not taking his finger prints is not fatal to the case of the prosecution. The High Court also did not find merit in the contention regarding lack of clarity as to how the accused fell unconscious when bodies of the deceased were recovered from his house and what treatment was given to him in hospital.